The village of Agia Marina, which took its name from a small church in the old town, lies only 9 kilometers from Chania. Every year hundreds of guests visit the growing village,while most of them for the second or the third time.Agia Marina is a place of natural beauty with orangeries and olive plantations. In this nice scenery you will find many quality hotels, pensions, restaurants, bars, clubs, travel agencies, tavernas with traditional Greek cuisine and many more facilities that will make your stay memorable. In Agia Marina, you can also enjoy the 2.5-kilometer long beach with all the standard facilities. Quite close to the beach, up on the hill lies the old town of Agia Marina. Here you can walk through the alleys among old traditional houses and then walk to the busy village center by the sea. Online Travel guide with the best accommodation in Agia Marina. Find the cheapest hotels is Agia Marina & get exclusive online deals. Great rooms at bargain prices. Book online now! Compare Hotel Prices and read Reviews from others. Great Hotel rates and information See photos, reviews & what's nearby Agia Marina . 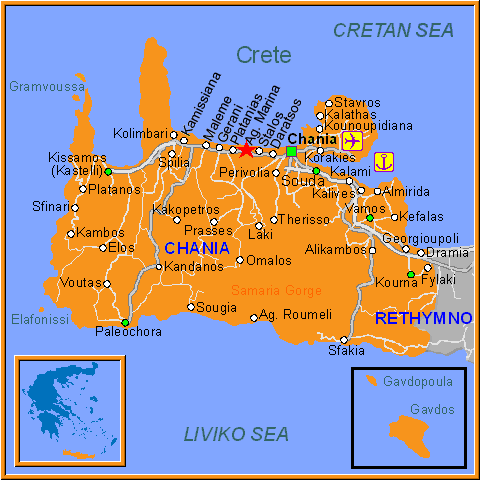 Detailed tourist and travel information about hotels of Agia Marina providing also regional information.